Hello loves! It's a rainy Wednesday over here but I don't mind because that means I get to wear my rain boots! Who knew a pair of shoes would make me enjoy rainy days more ha. This outfit is from last week. 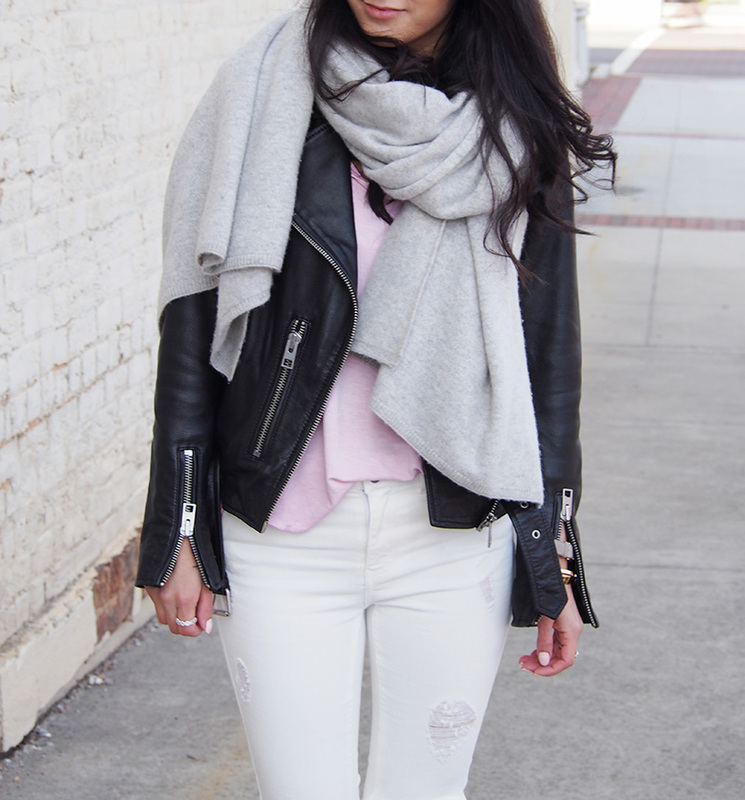 It was super cold out but I was in a spring mood so I had to wear light pink and white together! Who else is ready for spring?? Or just me. Also, I'm obsessed with coin necklaces!! They look especially cute when layered with other dainty pieces. 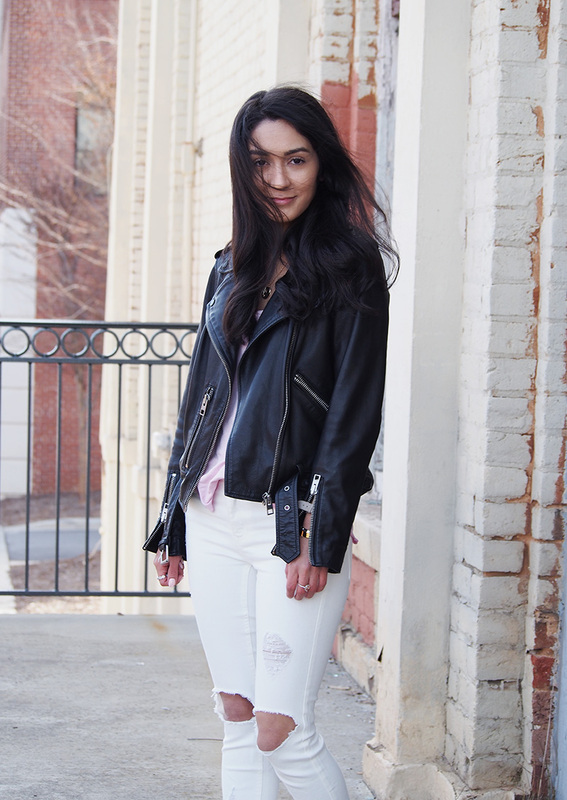 I love this one from Forever 21! What do you guys think? Now that's a lovely color scheme. 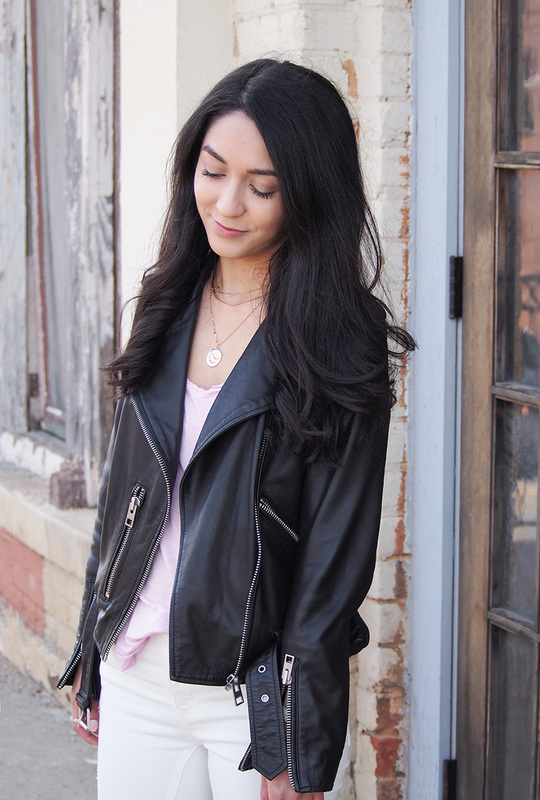 Love the soft pink touch underneath the black leather jacket.